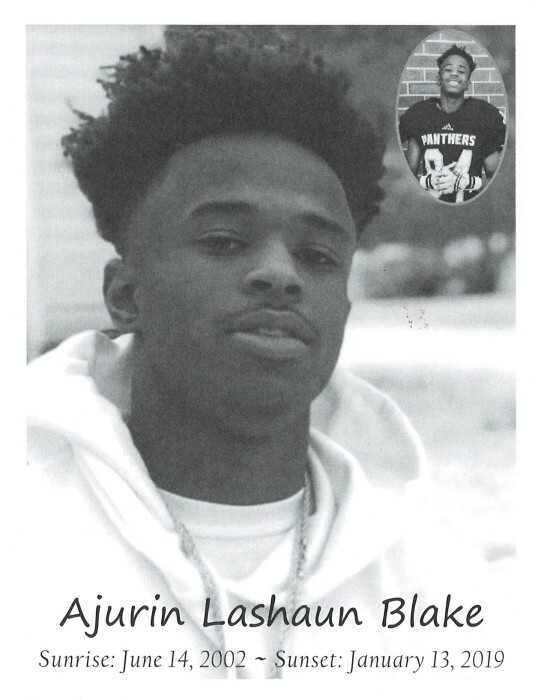 Ajurin Lashaun Blake was born on June 14, 2002 in South Bend, Indiana to RoShonda Small-Blake and Adrian Blake. On Monday, January 14, 2019 our beloved 16 year old son went home to be with the Lord. 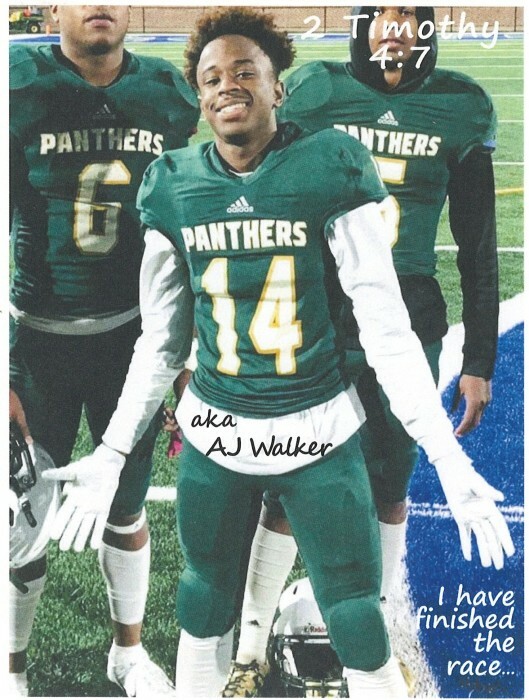 Ajurin was a sophomore at Washington School and was affectionately known as “Aj Walker.” He was an excellent student and athlete. He played football, basketball and participated in track and field. He was employed by Little Caesars’ Pizza on Western Avenue. Aj’s favorite pastimes were attending and watching various sporting events; playing Play Station and other video games with his dad, cousins and close friends. He also enjoyed going to the mall with friends, listening to music and dancing. Aj was looking forward to filing his first tax return and had plans to buy a Chevy Impala. He also planned to go to college after high school. Those left to cherish his loving memory include his mother, RoShonda (and Dante Miller); his father Adrian (and Octivia Stokes); four sisters, Driana Blake, Lakalia Blake, Namijha Blake and Acelynn Blake; three brothers, Lykeem Blake, Damiron Miller and Dante Miller, Jr.; all of South Bend; paternal grandparents, Fred Blake of North Carolina and Diane Freeland of South Bend; maternal grandparents, Penny Iavagnilio and Jeffery (and Jackie) Small of Goshen; paternal great grandmother, Louise Blake, of South Bend; three aunts Angela Blake of North Carolina; Maria Blake, Thellisa (and Eric) Williams; three uncles, Wayne Blake, Daniel (and Tiffany) Payne all of South Bend and Gerald Harvell of Elkhart ;a close cousin, regarded as a sister Tantania Bostic; two very special great-aunts, Gladys Muhammad and Dameka Dickerson both of South Bend, along with the Patton Family, the Blake Family and, the entire student body, teachers and staff of the Washington Panthers as well as many other relatives and friends. Ajurin was greeted on the other side by his grannies Thellisa Patton and Patricia Williams Small and grandfathers Fred Small and Hartie Blake. He will be remembered as a loving son and great friend who always sported a big warm and genuine smile.